As of Jan. 18, around 25% of the federal government has been shut down due to a lack of funding. The shutdown began on Dec. 22 when Congress failed to pass appropriations bills for seven federal agencies, including Homeland Security. Border security has been the central issue in this debate, focused around Trump’s campaign promise to build a wall on the US southern border with Mexico. Initially, there was speculation that Congress would pass “continuing resolutions” to fund agencies for a few months in order to further debate the wall. However, a last minute veto threat by President Trump derailed the effort and prevented any plan from materializing. This is not the first time the government has shutdown, the last time occurring within the past year. 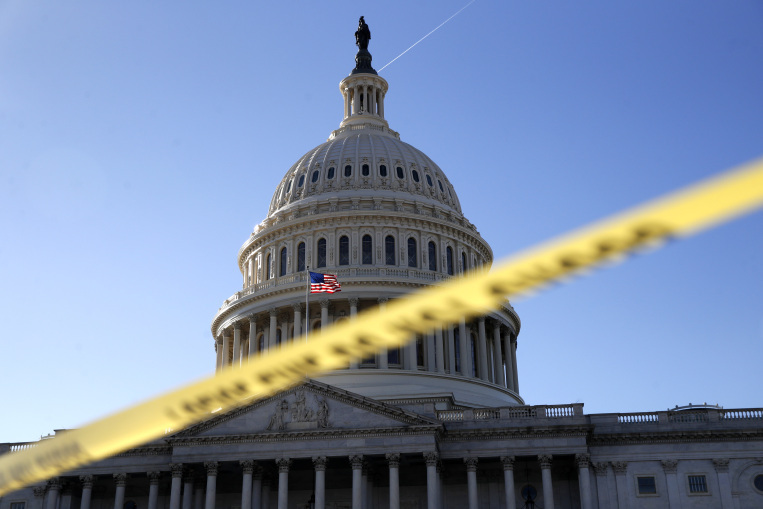 The government shut down twice in early 2018, but neither shutdown lasted long enough to impact federal workers, as both occurred over the weekend, when most federal workers are not working. Those shutdowns were minimal in comparison to many of the other shutdowns in the past. Within students’ lifetime, the government famously shut down in 2013 when Republicans in the House blocked a funding bill that would have raised the debt ceiling. That shutdown lasted 16 days, and was finally resolved after negotiations between Democrats and Republicans. This has been the typical end to a shutdown, but this time, that may not be the case. Back in December, some political experts disagreed over whether or not the government would go into a shutdown, especially following the passage of short term spending bills in the Senate. While the measures were expected to pass the House, those bills did not, including President Trump’s demand for $5.7 billion for a physical barrier on the southern border. Following a day of fierce criticism from right wing pundits, Trump announced he would veto any bill that failed to meet his request of $5.7 billion. Therefore, without an agreement, the government went into shutdown. Since that day, one major shift has made an end to this shutdown even harder. In December, following the Senate’s vote for continuing resolutions, Trump stated he wanted border wall funding in those resolutions, otherwise he wouldn’t vote for them. So, the House, which was controlled by Republicans at the time, voted for the same resolutions, but with the added border wall funding. These bills were a non-starter in the Senate due to filibuster. However, the House, a once Trump ally, turned over following the 2018 midterm elections. With Democratic control of the House, now a majority of Democrats need to be in agreement with the Republicans if the shutdown is to end. Since taking control of the House in early January, Democrats have passed several bills with full funding for the federal agencies not related to Homeland Security along with a continuing resolution on Homeland Security funding. The idea with this approach is to fund the agencies not involved with the issue of funding, the border wall. Only the budget of Homeland Security would be affected by wall funding, and with other agencies funded and an extension of funding for Homeland Security would reopen the government and allow other agencies to proceed normally while Congress and the White House reach a deal on wall funding. Until a deal is reached, the shutdown will continue to affect hundreds of thousands of Americans in many different ways. While some government employees are furloughed, which means that they are able to stay home while they are not being paid during the shutdown, others must continue to work without pay. This includes more than 400,000 workers who are required to work because their roles have been deemed essential to government function. For employees living paycheck to paycheck, the shutdown has proven detrimental. To help these unpaid workers, various businesses are stepping up and offering food and assistance to help citizens through what is now a 28 day shutdown. This includes big businesses such as T-Mobile and Chase, and smaller local businesses such as Horse Thief Hollow in Chicago. York-hi is continuing to follow the shutdown and will report on any crucial updates.